PATCHOGUE, NY, July 8—Long Island Pulse Magazine Publisher, Nada Marjanovich, will be appearing on News12 Long Island, Monday July 12, 2010 in a series of interviews with Elisa Distefano to discuss summer style. Fashion is always changing and the Long Island Pulse Magazine Publisher will offer News12 viewers a fresh look on an assortment of styles that transcend summer into fall. Fashion spreads are a main component of the magazine, often directed and styled by Nada, who is both Publisher and Editor of Long Island Pulse. In her segments with Elisa Distefano, Nada will focus on pieces for men, women and kids that are timely staples that work across a wide variety of looks and will last for multiple seasons. Retailers to be featured in the segments are Rexer-Parkes (Huntington) for ladies clothing, Lester’s (Huntington & Greenvale) and for children’s attire and Lord & Taylor for men’s. Models’ hair will be styled by BOCU Salon (Commack) and make-up by Beautiful Beginnings (Selden). 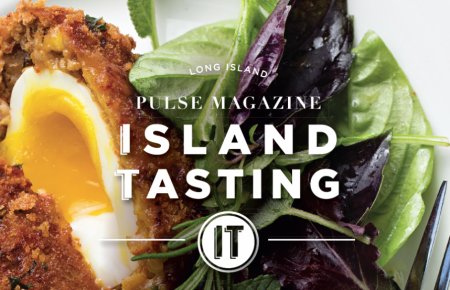 Long Island Pulse Magazine is the largest magazine on Long Island, owning the Gold Coast, Hampton and boutique communities. The magazine is read monthly by 35-55 year old affluent professionals and has an ABC audited circulation of 100,000 copies monthly, qualifying us as one of the largest regional magazines in the country. For more information, contact Regina Lupo by email at Regina@nulllipulse.com or visit lipulse.com.